20 LB (9 Kg) – Try This With A Planted Heel & Torso Twist! You would absolutely destroy yourself swinging in the Modern G.S. style, and the proof is the many lower back issues plaguing the professional golf circuits swinging 13 oz clubs! So, I made the adjustment to make my swing more leveraged with the same effort of swing. It didn’t make my swing motion safer, as I’ve never injured myself swinging a golf club in my years of research and analysis – but it did make it optimal as a leveraging motion. I’ve already shown that I would swing a Momentus heavy driver the same way I’d swing a regular driver – the mass of the driver is irrelevant, because if you’d change the way you’re swinging a heavier club to avoid injury… then your technique with the lighter club is the issue. 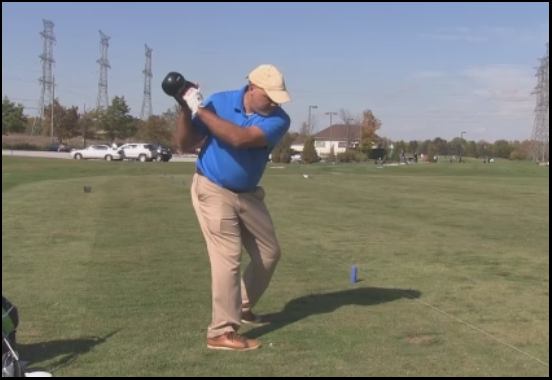 In fact, part of the problem with the modern game is that you can swing the lighter modern drivers so easily with any type of swing that even with a mechanically-unsound motion, you can still drive the ball 300 yards – but when you start swinging harder and faster because of lighter equipment that forgives off-center hits, you’re also going to placing much more torque force on your body than with a slower swing. 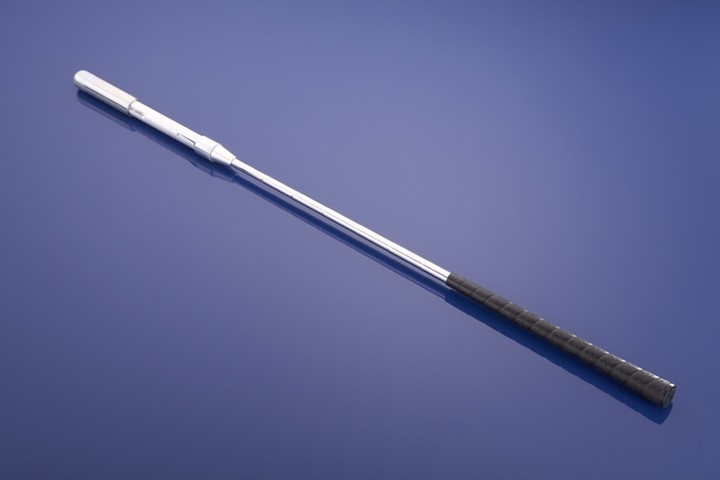 So, it’s ironic that the lighter more forgiving clubs are allowing pros to drive the ball longer distances than they have any right to with their particular techniques, the fact that they can is what’s contributing to more back injuries. I don’t see how he doesn’t, and like I said last December when he came back, he can win with any swing if he’s healthy. I pointed out at the time that he won 5 Tour events with the swing he built under Sean Foley, the same swing that led to four back surgeries since 2013. So, when he wins today, it doesn’t make his swing model one to emulate, whatever the analysts will be saying! Actually Tiger looked a little more stable with his head and a little more release of the hip on the back swing, but still the planted foot. He would be better off if he used his pre-swing swings than his actual swings. Truth be told, TW is one of the last of the generations who began playing the game when persimmon was still in use, so I consider him a much more skilled golfer and ball-striker than the younger generations who teethed on metal woods. I have hated his swing models because they destroyed his body, but he is either the greatest ever or the next-greatest ever, which I’ve never disputed. Teach him a classic swing when he was a kid, and he’s likely at 25 majors, at least. Hopefully Tiger continues to go about his business without the help from the latest modern swing gurus. Maybe he is finally listening to his body, not swinging out of his shoes and preventing further injury. Time will tell. I didn’t see any of the tournament, but I did see a Tiger Tracker Twitter reference to Tommy Fleetwood out-driving TW on the first day they played together. That would indicate he’s gone back to playing golf within his means instead of trying to play the long ball with the young guys. Put him in the fairway or close enough to the green to get it up and down, and aside from Jordan Spieth of ’15-’16, few today would be able match him.